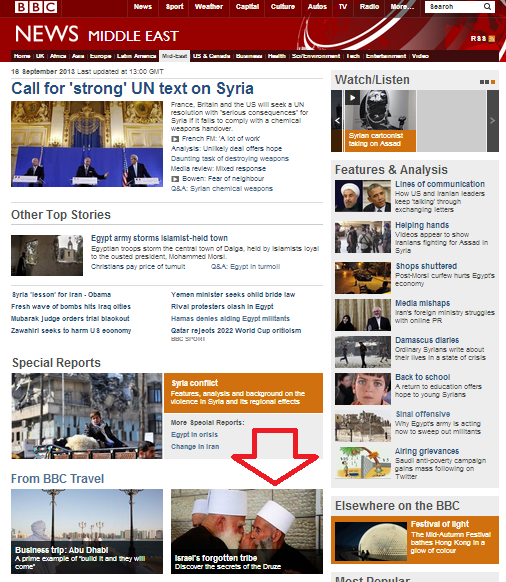 An article from the BBC Travel section recently promoted on the BBC News website’s Middle East page will not do what it says on the tin. No, readers will not “discover the secrets of the Druze” by reading Dan Savery Raz’s article titled “Israel’s forgotten tribe“, but it is nevertheless well worth the read and the author is to be commended for having avoided the inaccuracies all too frequently promoted by many journalists when writing about the Druze. 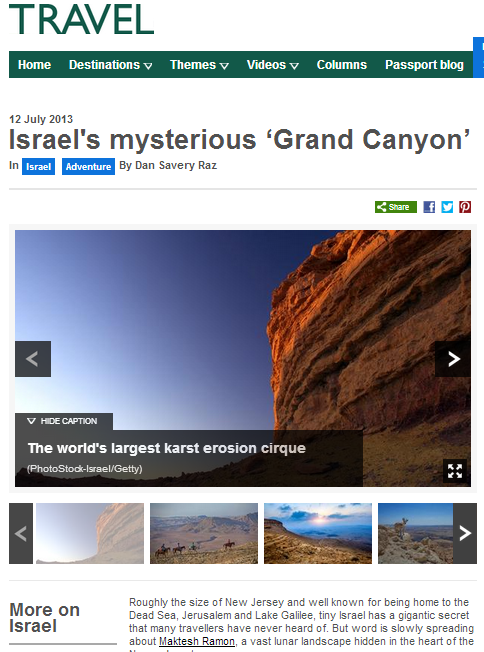 The ‘Travel‘ section of the BBC website recently included an article about the Ramon Crater titled “Israel’s mysterious ‘Grand Canyon’” which was also featured on the BBC News website’s Middle East page. The article, written by Dan Savery Raz, includes some lovely photographs and plenty of useful practical information for potential visitors to that very special area of outstanding beauty. The same author has also written about Jaffa, the Galilee and kibbutz tourism for the BBC website, as well as Israeli micro-breweries, wine and hummus. In each case, he manages to produce engaging, interesting, informative and accurate reports without falling into the trap of politicising his subject matter. That’s a welcome mini-break in itself.